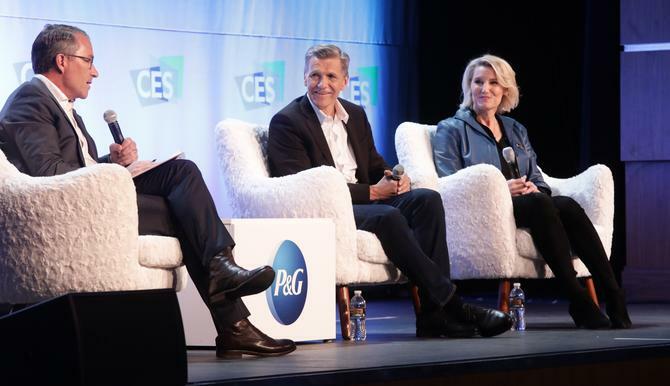 The rise of embedded technology in consumer products has changed the very nature of brand building and could finally kill off advertising as we know it, P&G’s chief brand officer, Marc Pritchard, claims. Speaking at this year’s Consumer Electronics Show in Las Vegas, the well-respected and longstanding marketing chief shared his views on the disruption of brand engagement thanks to technology innovation, and how it’s helping the FMCG transform from a mass marketing approach to personalised marketing. P&G has released six tech-connected devices at the show. These included Olay Skin Advisor, which uses artificial intelligence (AI) to provide a personalised skincare analysis and recommendations to a consumer via selfie analysis and questionnaires; the Oral-B Genuis X toothbrush, which taps AI to recognise how users are brushing their teeth and provides personalised feedback on improving it; and the SK-II Future X Smart Store, which features gesture-driven ‘phygital’ experiences augmented by proprietary skin science and diagnostics. “What technology is doing is disrupting everything we do,” Pritchard told attendees. “When you have these technologies embedded in products, it makes them more central to the brand building experience. It could eventually replace advertising as we know it. “Just look at Olay: It was traditionally doing six ads per year, constantly changing, trying to tell everyone about every product. The brand cut back to focus on one ad, and has pivoted to far more one-to-one engagement. The skin advisor gives you that one-to-one engagement. The Future X smart store is also now the advertising platform, Pritchard said. “This ‘phygital’ environment is both a physical and digital experience. It includes facial recognition, computer vision, and enhanced AI analytics with a diagnostic and science centre so you can get exactly what you need,” he said. Pritchard also positioned these tech-led innovations as further steps in P&G’s quest to cut wastage out of the marketing ecosystem and shift from mass advertising to one-to-one brand building. Over the past two years, Pritchard has been a highly vocal critic of the existing media supply chain and the waste it represents for brands, from the “murky and fraudulent” practices that continue to pervade the industry, to the need to shift to target, relevant and precise engagement with consumers. “We’re reinventing how we brand completely. Yes, we still do TV but we’re moving from mass blasting approach to mass reach, but with one-to-one precision using our own DMP,” Pritchard continued, noting P&G now has more than 1 billion consumer IDs at its disposal internally. “That allows us to do propensity analytics and precisely reach people. Increasingly it’s giving us that direct relationship with consumers. We’re getting our own consumer data, our own data scientists, our own algorithms, and disintermediating the supply chain to get closer to consumers. P&G’s other emphasis is creating content people want to talk about and that demonstrates the brand’s clear point of view. As examples, Pritchard pointed to SK-II’s ‘Bar skin’ project and Olay’s ‘Face anything’ initiatives, which both challenge the notion women must wear make-up in order to be beautiful. At the same time, the new Gilette warm razor is also a product that has a point of view on masculinity, Pritchard said. “This gets people to talk about the brand in a different way,” Pritchard said. “That then changes our agency relationships, as our folks have their keys on the keyboard. And it changes citizenship in terms of equality and the environment… We want to express that point of view. Brands can be more themselves and a force for themselves and for growth. Ultimately, it’s about creating experiences for consumers so they see all sides of the brand, Pritchard concluded. “It’s not just one or two sides of the brand. That’s what the future is about,” he added.